The Polaris RZR 900 and 1000 are among the most popular, toughest, incredible machines on the UTV market. The RZR is made to do great no matter what kind of riding you put it through. Whether it be trail riding, mud riding, rock crawling, your RZR will excel in Performance and Strength. 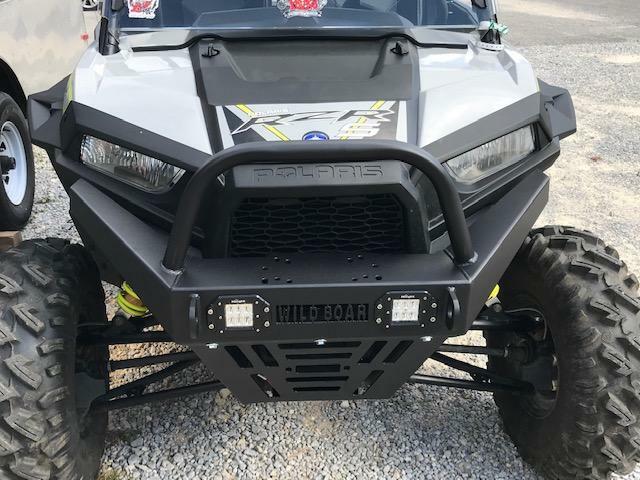 Here at Wild Boar we proudly designed a Front Bumper to match the strength and reliability of these amazing machines. To make this product even better, it comes winch ready with pre-drilled holes to match most major winch brands including KFI, Warn, Badlands and more! This bumper relocates your winch to the top of the bumper for better access when you're in deep, sticky mud. The Wild Boar Heavy Duty RZR 900/1000 Front Bumper was made tough enough for you to use up to a 5000lb winch.